Elnec BeeProg2C Programming Device ! !Special Offer!! Universal programmer with 48 pin socket, economy-version of the BeeProg2. Please note: We can sell this product only inside Germany! 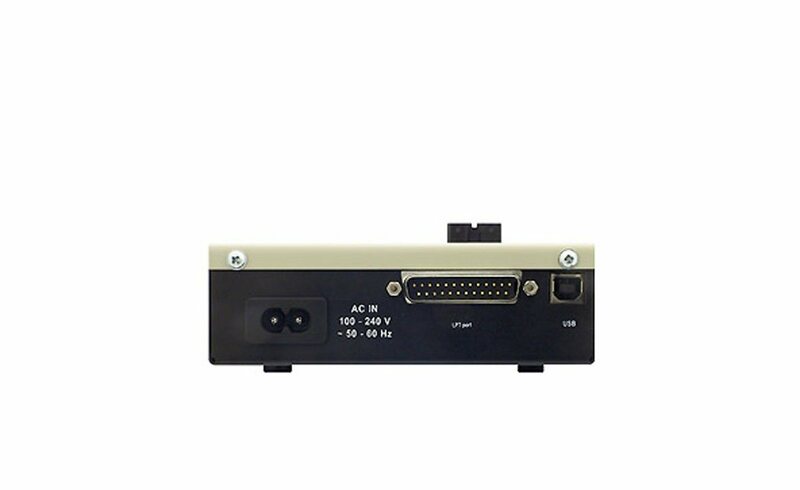 Power cable (100-240 V/50-60 Hz), USB cable, ISP Adapter and software. 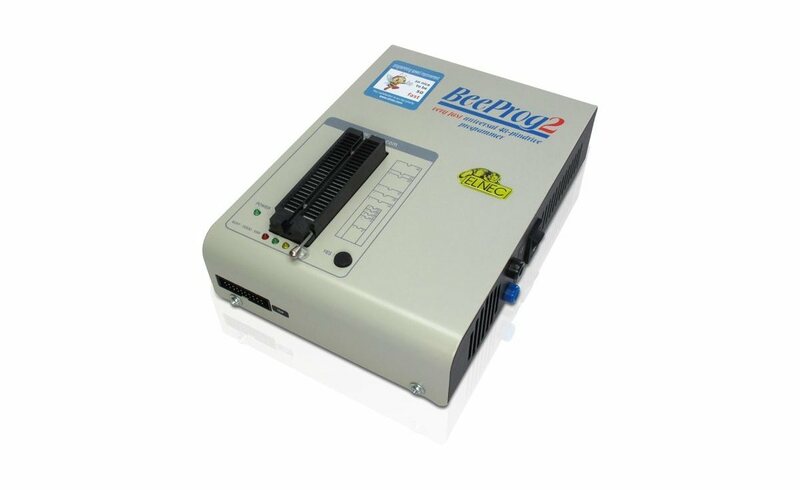 The Beeprog2C is the cost effective version of the Beeprog2. BeeProg2C programmers have the same hardware as the BeeProg2 programmer, the differences are only in software. BeeProg2C have some limitations against BeeProg2, please see the list below. 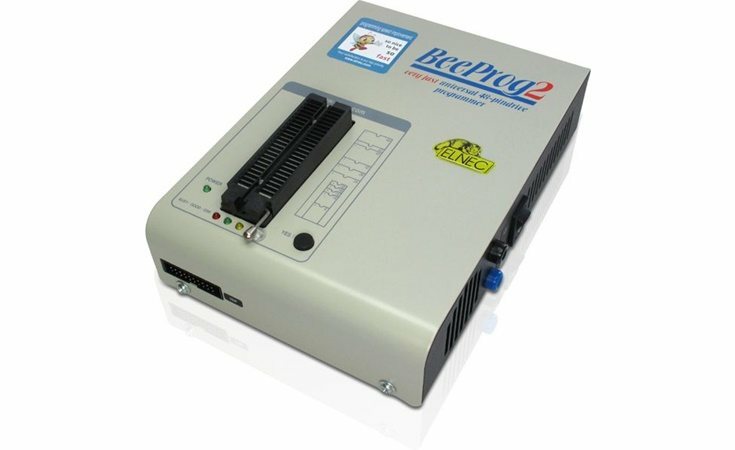 The Beeprog2 is a professional universal programming device for development, service, production, and mobile applications. The current device is a speed-up improvement of the Beeprog+ Programmer. 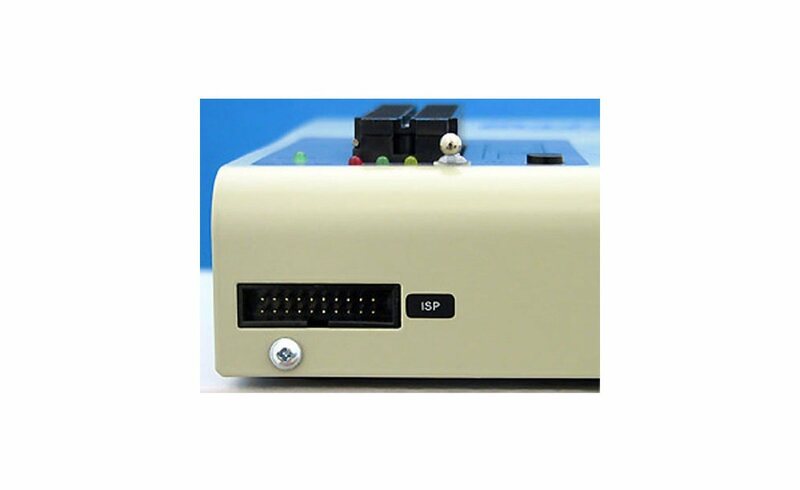 In addition to the comprehensive component support and extremely fast programming, the Beeprog2 offers a rugged housing which is suitable for industrial applications. Programming speed improvement was focused to large memories (NAND Flash, parallel NOR Flash, serial NOR Flash). BeeProg2 is faster by 20-70% than BeeProg+ in such cases. The BeeProg2 programs nearly all available chips like: EPROMs, paged EPROMs, EEPROMs, serial EEPROMs, FLASH memory (NOR and NAND), bipolar PROMs, NVRAMs, Microcontrollers, GALs, PALCEs, PLD's, SPLDs, CPLDs, EPLDs, Firmware HUBs, MCU, standard logic. The BeeProg2C programmer can be easily upgraded to BeeProg2 using BeeProg2C to BeeProg2 upgrade kit (see Accessories). 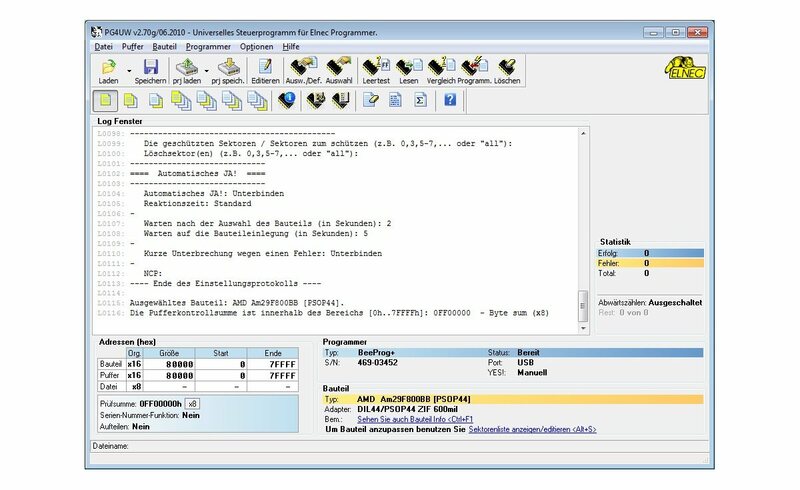 The BeeProg software features a comprehensive set of basic functions such as read, program, compare and delete, along with easy-to-use custom configuration options for any special functions required by the selected component. For volume production of chips up to four BeeProg devices can be controlled simultaneously from one PC. 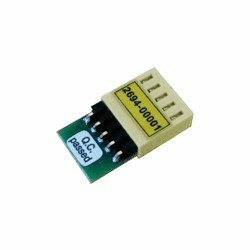 The BeeProg2C to BeeProg2 upgrade kit is designated for users of BeeProg2C programmers, who need to program devices supported by BeeProg2, but not by BeeProg2C programmer. 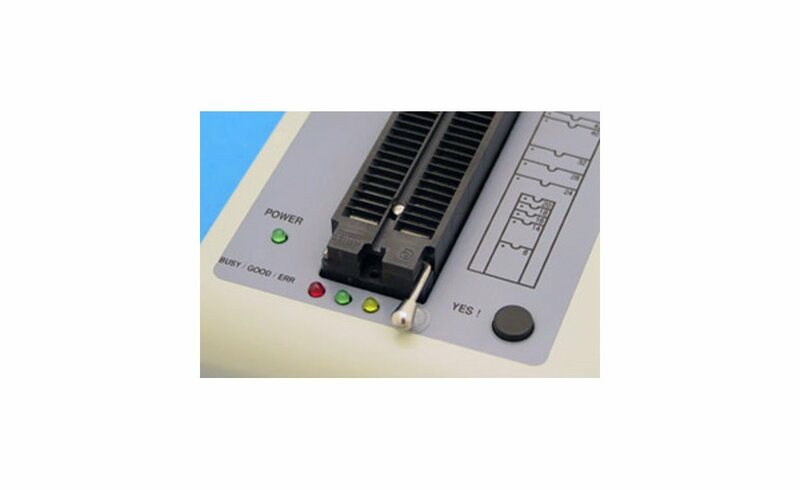 The installation can be done by programmer's user directly.